Saul Landau’s latest film expertly documents the history of terrorist atrocities committed against Cuba through archive footage, interviews and reconstructions. Although the purpose of the documentary is to expose the case of the Miami 5 to a wider audience, the majority of the film is dedicated to contextualising the case within a history of collusion between the US government and violent Cuban exile groups. The film is rich with footage of the 26 July Movement during the Revolution whilst the flight recording audio from the bombed Cubana flight which killed 73 people is truly chilling. Landau takes us from Cuba before the revolution – saturated with corruption, gambling and unadulterated American influence – through to the arrest, trial and imprisonment of the Miami 5. 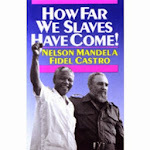 A comprehensive chronology of American sponsored terrorism – from Operation Peter Pan and the Bay of Pigs invasion to numerous attempts on Fidel Castro’s life – demonstrates how the CIA has nurtured a culture of violent political gangsterism in Miami that mirrors pre-revolution Cuba. 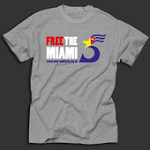 According to one interviewee, more bombs have been planted in Miami by Cuban exiles than “in Belfast and Beirut” as terrorism has been used to impose their will and silence dissenters. Understanding this climate of fear and violence is necessary to appreciate why Cuba sent the Miami 5 to America to investigate these terrorist organisations and why it was impossible for them to receive a fair trial. America’s complicit support for these terrorists – fortified by the strengthening of the blockade – also explains why a refusal to move the trial to a less hostile environment was inevitable. Will The Real Terrorist Please Stand Up – accessible, detailed and engaging – is essential viewing for all those interested in understanding the case of the Miami 5 and Cuba’s long struggle against US imperialism. As one Miami-based radio host and businessman remarks in the film “it is not a problem of ideology, it is a problem of America’s interests being affected”. Nearly 3,500 people have already been the victim of terrorist attacks against the island. As long as Cuba continues to fight for its freedom and independence, it will continue to be the victim of attacks from these terrorist groups. 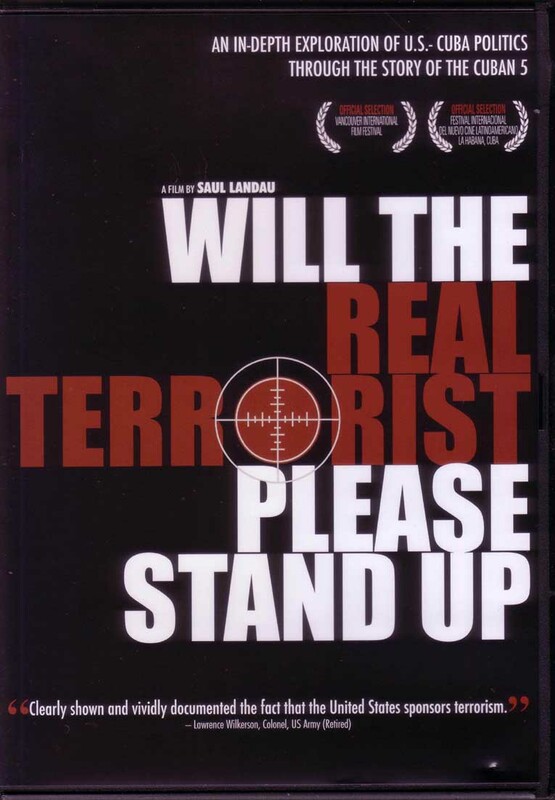 You can buy Will The Real Terrorist Please Stand Up from our Cuba Connect website for just £12.